Offered for sale with no forward chain and ready to move into, nu:move are delighted to be marketing for sale this traditional 1920's three Bedroom Semi-Detached home situated in a well-established residential area of Old Colwyn. This spacious well-proportioned family home is situated on a generous sized plot, having been totally refurbished throughout to an extremely high standard with a professional finish by the current owners, creating a light and airy contemporary home which has been tailored specifically for modern family living. With the entire refurbishment now complete, this lovely home has been totally transformed and is now ready for a new owner to just walk into and now benefits from: New neutral décor throughout, fully fitted carpets and flooring, well-appointed fully fitted contemporary high gloss Kitchen with integrated 'Whirlpool' appliances, fully fitted family Bathroom, gas fired combination boiler with central heating system throughout, electrical rewire, UPVC composite front entrance door, double glazed UPVC windows and rear door, front & rear garden gates and panel fencing. 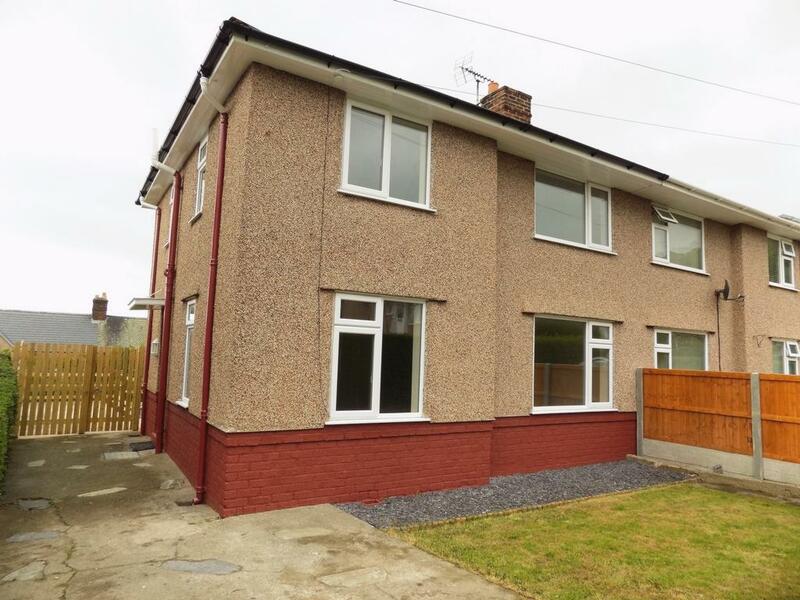 This home provides ideal family accommodation or an opportunity for a first time buyer, also lending itself as an ideal and very attractive buy-to-let investment opportunity. The beautiful sandy blue flag beach and sea front promenade are within easy walking distance, and from its elevated position within Old Colwyn this property enjoys far reaching coastal sea views over to Rhos-On Sea from the rear of the property. The nearest town of Colwyn Bay is only a short distance away, offering local shops, the Bay View shopping centre, supermarket, Leisure Centre with swimming pool. Colwyn Bay Theatre and Cinema, wine bars and restaurants are also plentiful. For the animal lovers The Welsh Mountain Zoo is also only a short drive away. The village of Rhos on Sea offers further local amenities and leisure facilities include golf, water sports, cycling and walking tracks. Also within easy reach by car, is the traditional Victorian town of Llandudno, home of the Great Orme, The Victorian Pier, Blue Flag Beaches and beautiful Promenade. Good Local Primary and Secondary Schools are also very close by and Old Colwyn offers good public transport links via local bus services and the nearest train station of Colwyn Bay. Easy access routes are available via the A55 expressway and A470 which provides easy access to Chester, Liverpool and beyond via the motorway network.